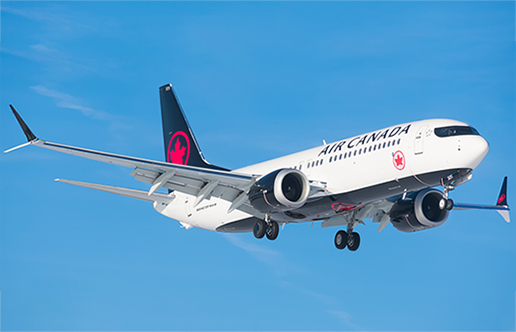 Children’s flights to Toronto Pearson International Airport (YYZ) are booked in advanced by each parent or guardian. *Under specific circumstances, we do make exceptions for campers who cannot arrive between the designated times on the first day of camp. However, please be sure to check with Camp Chikopi in advance! A representative from Camp Chikopi will meet your son at the baggage claim area once he gets off his flight at the Pearson International Airport (YYZ). From here, our representative will take him to the waiting spot at a hotel across from the airport. Here, he will wait with the rest of the international campers and any other campers who have arrived. The boys are supervised at all times throughout the wait. In the case that your child if flying alone, please provide Camp Chikopi with a Booking Reference Code under the Travel Information form, as your child is still a minor. This will ensure one of our camp representatives will meet and greet your son with an Airline personnel and sign them in. Your son will then join the other campers at the hotel prior to leaving for camp. At the end of camp, campers are transported back to Pearson International Airport (YYZ). Of course, our camp staff will assist your son with the check-in process and hand him over to the Airline personnel. If you check with the airline directly, you will be able to find unaccompanied minor age guidelines. Once all campers have arrived safely to Toronto, our camp bus will drive north for three and a half hours towards Camp Chikopi! All of this will be done just in time to unpack and settle into the cabins before dinner. The campers will proceed to have the best summer ever! Everyone dreads the end of camp after an amazing summer, but when the time comes it’s important to know what comes next. On the last day of their session, international campers will take the 9am camp transport back to Pearson International. Flights should depart after 2pm and before 8pm. With their guided support and individualized attention, our camp staff will ensure each camper checks-in safely and on time. Of course, this includes assisting with all necessary airport processes for their flight back home. Staff members stay at the airport until the last flight has departed. Make sure your camper has their booking reference, and we’ll take care of the rest! Prepare for your camper to arrive home with confidence, new skills, and memories of friendship and adventure. You can be assured with peace of mind at all times knowing that Camp Chikopi is an OCA (Ontario Camps Association) accredited camp. We always have a medical doctor available at all times to ensure the health and safety of everyone at camp. Camp Chikopi campers are always taken care of and their well-being is a constant priority, followed closely by fun and adventure!